Every Chinese New Year, we see the same delicious treats: pineapple tarts, peanut cookies, bak kwa — we’ve probably seen them in all manner of shapes and sizes. But locally-grown brand SUCRE has something special. The brand was founded in 2013, but has already caught the eye of several Singaporeans who love their seasonal treats. With a name like SUCRE (the french word for sugar), you wouldn’t have expected the people behind this luxury brand to be Singaporeans — but they are. The founders — local dessert fans Lucy Pek and Roland Quek — both realised that Singapore didn’t have any homegrown pastry brands that took the extra step to make truly artisanal pastries. With Pek’s years of baking experience, they opened SUCRE, which aims to challenge the traditional mould of making familiar treats. They do this by introducing really interesting flavours that are hardly incorporated into traditional desserts. For Chinese New Year this year, they are launching ‘8 HAPPINESS’, a compilation of 4 new flavours for their Artisanal, ‘Less Sweet’ cookie range, as well as 4 new flavours of pineapple truffles. 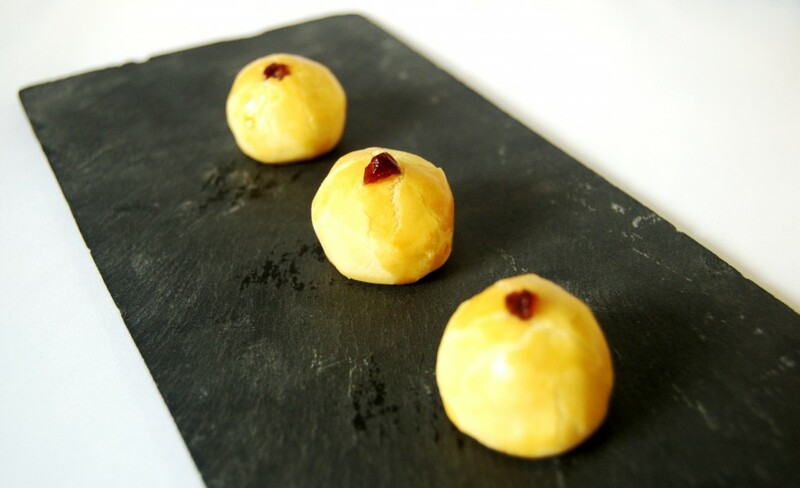 Their pineapple truffles are a twist from the usual pineapple tarts we know and love, with unique flavours like Blueberry and Raspberry. 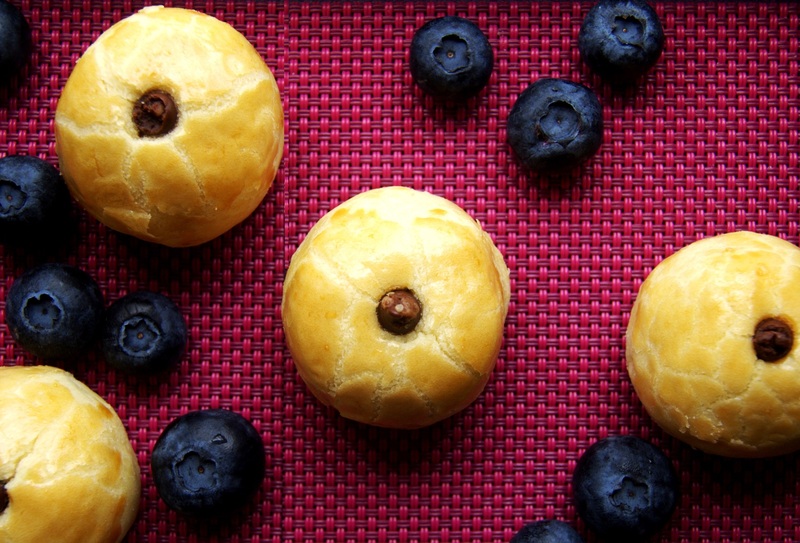 They are made by blending pineapple fillings with 100% pure blueberry and raspberry purees respectively. Their newest flavours — were introduced just this year — are Cheese Lite and Seaweed, both of which are sure to either shock or intrigue Chinese New Year enthusiasts. The Pineapple truffles are sold at $17.80 per cylinder (18 pieces x 16g truffle) or at $24.80 per box (18 pieces x 25g truffle) — pretty reasonable, for such a unique CNY snack. It’s hard to say how Singaporeans will react to the changes made to their classic treats, but I can definitely see some traditionalists considering these odd flavours a blasphemy to Chinese New Year as we know it. However, it is this very risk that SUCRE is aiming for — a catalyst for the change needed to bring our treats to the next level. “This is something that SUCRE firmly believes in — the need to create something new, giving tradition a ‘twist’ in order to have fresh flavours and taking the pastry business to a new and better level,” explained Quek. 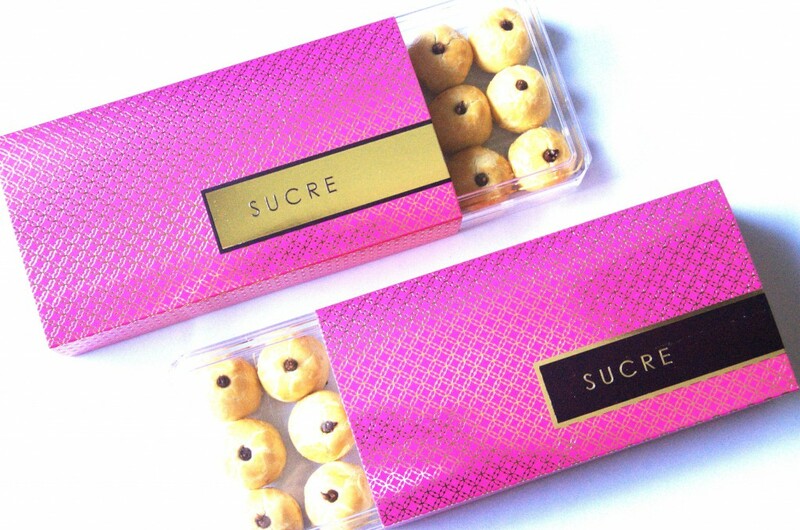 Apart from the flavours, another thing that SUCRE takes pride in is its packaging. Everything from the brand’s ‘snowflake’ motif to its stylish design was conceptualised to infuse the look of luxury and class with a modern feel. And everything, according to Quek, is tied in with how they are modernising traditional pastries. 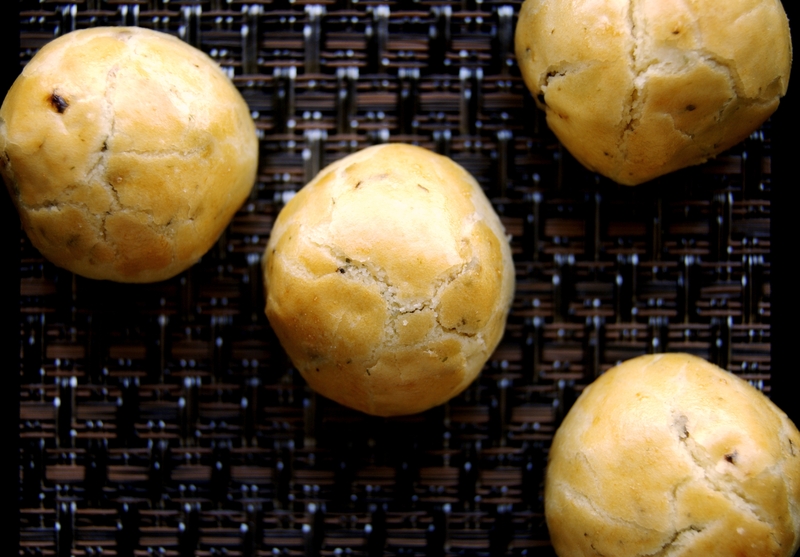 So will pineapple tarts be the next Macaron or Mochi? Perhaps so, thanks to SUCRE. According to Quek, they are setting their sights on the rest of the world. But Singapore is where they were born and bred, and will remain their main focus.